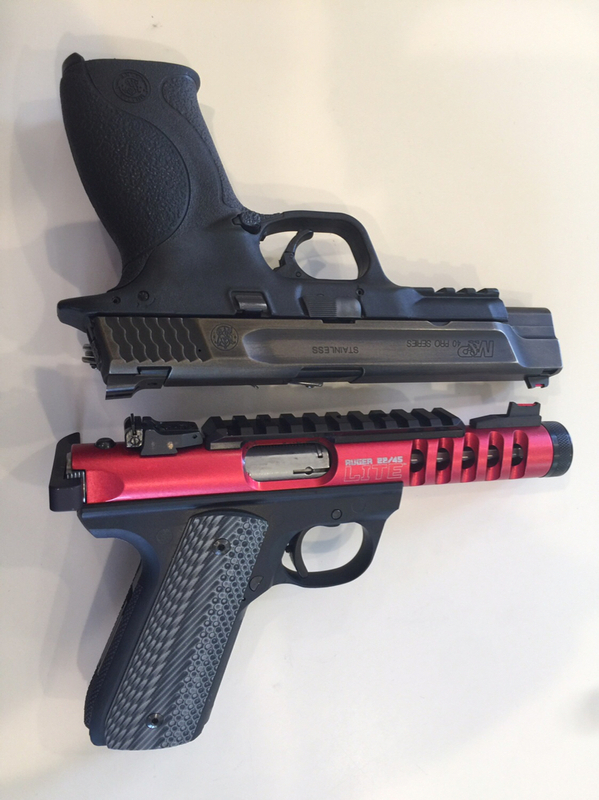 VZ Grips (and similar)...Are they worth the cost? Discussion in 'Gear Talk' started by NINEROUND, Apr 17, 2018. I have been looking at these for some time, specifically the style, not necessarily the maker. So, of those that have tried them, how would you rate their performance? Being made of a canvas material, how do they hold up to moisture? Any preferences as to checkering pattern/style? I see there are golf ball styles, gator skin styles, ad infinitum. Which is ya'll's preferred model? I have some on a 22/45. Mainly because they look better than black plastic and I don't have to worry about beating up some wood grips. I think hogue is doing a simimilar product now also. I have them on a few guns. 22/45, 1911, and a K and J frame. I like them. Pattern? Recon, diamond tactical, and operator. For a carry gun they are a bit too aggressive for me. But, you can easily tame them with some light sandpaper and buffing. 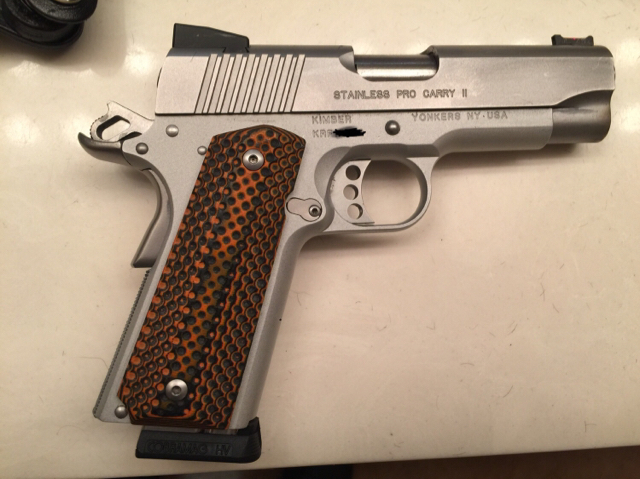 Here are the “tamed” Recons on a Kimber. I love them. I currently have four sets. One set of diamond tactical and three Operator II's (one thin). I think the diamond tacs are a bit too aggressive and prefer the Op II's, but the great thing about them is that you can tame them with a bit of judicious sanding and it doesn't affect the integrity or appearance one bit. They're super durable and hold up as well as they maintain their appearance. The one complaint I've heard is from sissies who don't like that they mar the finish UNDER the grips. This can easily be rectified by using O-rings or a backing like thin plastic or wax paper. I do use their Torx head screws with O-rings, but mainly because you can crank them down without worrying about stripping the heads, and they never come loose under hard use. I still haven't migrated my pics off Photobucket, otherwise I'd post them. I love my vz grips on my 1911. Great texture, weight, and look. Agree 100% with G2G and I just learned you can sand down without jeopardizing the look from his post! I am not sure what you mean by canvas material? Unless they make a new variation? VZ uses G10 which is a composite, think fiberglass but more rugged and durable (is my understanding). So I don’t think you’d have any issues with moisture. My benchmade has g10 side panels and it’s in my pocket everyday. VZ made a line of grips for BCM that has a star pattern that I really liked so I went with that one for my 1911.